Seven Impossible Things Before Breakfast » Blog Archive » A Garth Williams Moment: Just ‘Cause . . .
A Garth Williams Moment: Just ‘Cause . 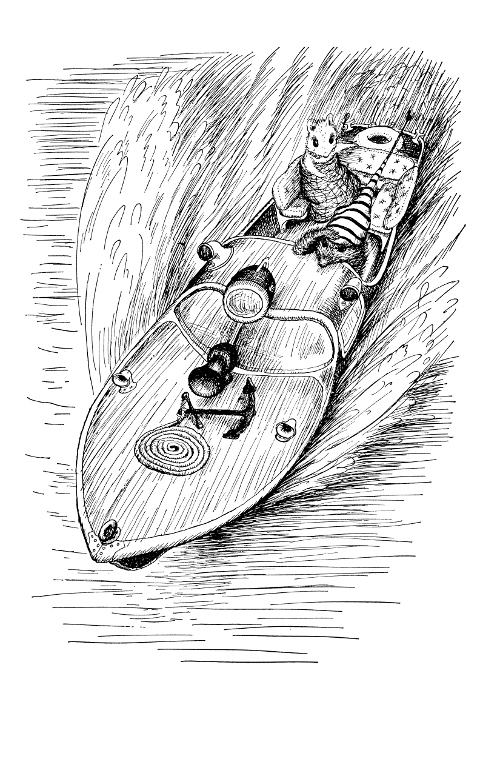 . .
I’m reading The Rescuers by Margery Sharp (“the rare children’s book in which mice aid Norwegians,” as Betsy Bird calls it in her Amazon review), originally published in the late 1950s and illustrated by Garth Williams. I’m forging ahead with this post, even though I haven’t finished the book yet. I’ve gotta take a break from my manuscript deadline, and I choose to enjoy some illustrations from Mr. Williams, whose work I enjoy so much. So, won’t you join me for a second? Thank goodness for the New York Review Children’s Collection. Have any of you seen their series, which features “time-honored classics for children of all ages”? It began in 2003 as a response to readers who wished for the return of favorite, but long out-of-print, titles. “Reissue” can be a beautiful word if we’re talkin’ just the right book, don’t you know. A lot of happy exclamations came flying from my mouth as I perused their 2010-2011 catalog (and no doubt there’s a new one out), which includes titles from authors and illustrators such as the d’Aulaires, Ruth Krauss, Esther Averill, Munro Leaf, Marc Simont, Robert McCloskey, Edward Gorey, James Thurber … I could go on. Glorious, yes? English author Margery Sharp wrote The Rescuers in 1959 and followed it up with eight other titles in the series, ending in 1978. When it comes to the pampered, hyper-intellectual Miss Bianca, most people are most familiar with this animated film adaptation, but the book is very different. It’s top-notch storytelling and quite funny, though again, I’m not done reading, so that’s all I’m going to say during my short work break here (with apologies to the book). What I really wanted to do was showcase some of Garth Williams’s illustrations in the book. Williams once said that he believed that books “given, or read, to children can have a profound influence” and that, for that very reason, he wanted his illustrations to try to “awaken something of importance . . . humor, responsibility, respect for others, interest in the world at large.” Smart man. And his work in this book is a wonder in that he manages to go from adorable mice to terrifying, dastardly-looking cat faster than you can say Mamelouk. See below. But only if you quite possibly want your nightmares taken care of for the next few weeks. THE RESCUERS. Copyright © 1959 by Margery Sharp. Illustrations copyright © 1959 by Garth Williams. Published in 2011 by The New York Review Children’s Collection, New York. Spreads reproduced by permission of the publisher. Garth Williams! My favorite of favorites. And here I woke up picturing his illustrations in my mind, and when (before breakfast, of course) I zipped over here for my daily check-in, here he is. Thank you, Jules. Oh my that cat! Oh those mice! But oh the attitude of the mouse holding the fan. That last drawing is really extraordinary! Oh this post brings up my biggest question of the moment. Despite my girl’s passionate love of reading, they just can’t seem to embrace animal stories or stories not told in the present day. It is killing me… I could pass on the animal stories but ruling out all books of times not current is just a crime! Any thoughts, suggestions most welcome!! May just write about this on my blog today- come on over and check it out later on… Would love any and all insights! 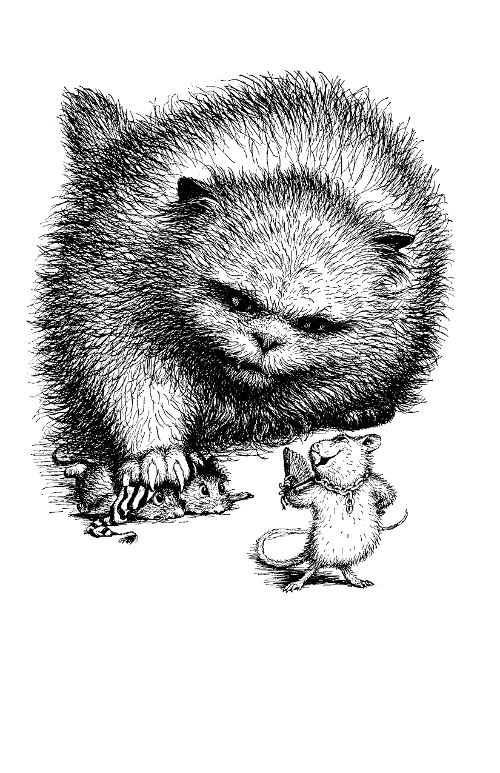 LOVE Garth Williams. Particularly love The Rescuers, as well as all of the Tucker Mouse / Harry Cat books…. Thanks for this trip down memory lane, Jules. 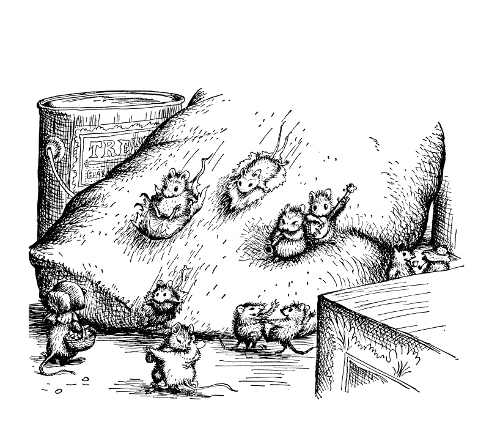 As a writer I guess I that that illustration of the mice sliding reminds me of the cartoons I used to see when I was small, when often little creatures were dancing or partying or fighting a cat! 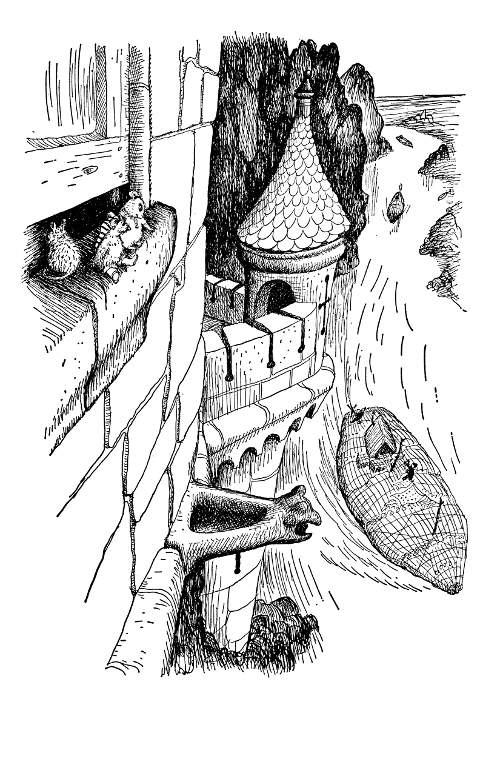 By the way, Dahl’s “The Witches” is also (in the end) about mice aiding Norwegians. So there are at least two! Chris! You’re exactly right. Huh. Good point. If I’m not mistaken, Garth Williams also illustrated the “Little House on the Prairie” series that I read over and over again as a child (and yeah, I can say it, as an adult!). Yes, GW did illustrate the Little House books! And, he did another amazing book that my mom managed to procure for my daughter: The Golden Books Treasury of Elves and Fairies. SO MUCH FUN. The Mermaid Baby is an especial favorite around here. Some of the illustrations in this book resemble the faces of the Little House books. I want to kiss the New York Review for some of the books they’ve brought back into print, and the editions are so lovingly put together. Garth Williams! One of my favorites! Thanks for sharing, Jules. I would spent hours copying his drawings from the Little House series. I’m re-reading Charlotte’s Web, another one of my GW favorites. So timeless and inspiring! That’s it. I have to buy a copy of The Rescuers. There is a hardcover reissue that I have put on my next order list.